Light switch sticker to help turn your home into something more unusual and original. 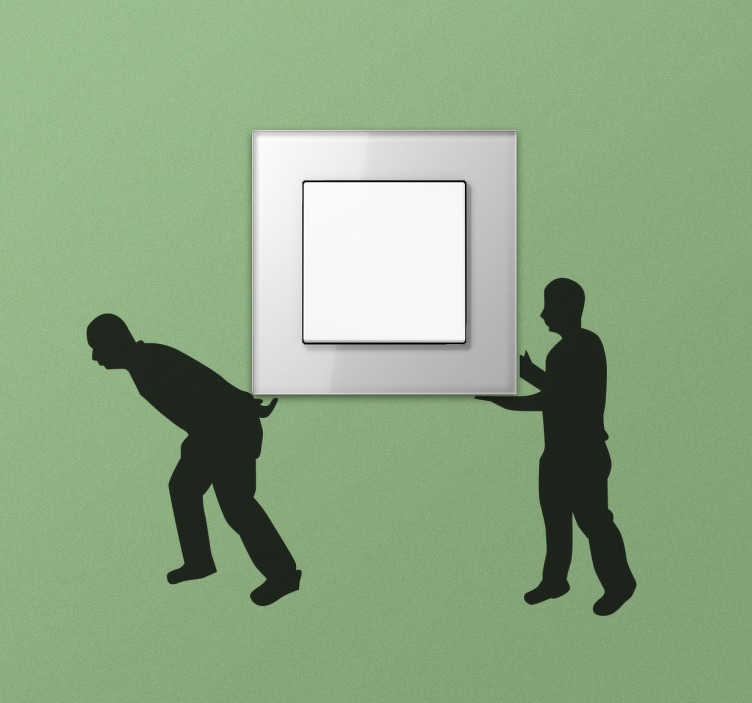 Switch and plug decal showing two silhouette workers carrying a box which in this case could be your own plug. Available in more than 50 different colours. A simple and inexpensive idea to give a quirky touch to the walls of any room in your house. The measurements of the texts will always be based on the width indicated, the height will be proportional.